Project will upgrade E16 from approx 1.5km east of Øye church to a similar distance north from Eidsbru. The length of the project is 4.1km including 2km of tunnels and approx. 150m of bridgework. 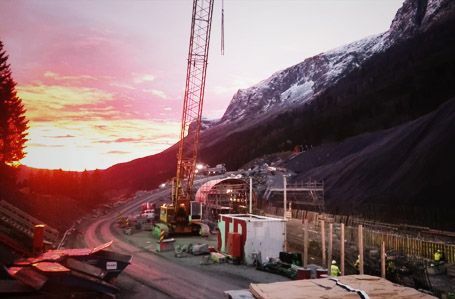 The project is worth around 400 MNOK (Million Norwegian Kroner). Exact is responsible for providing all surveying services on site, including; survey leader, site surveyors, tunnel and machine control. In addition, Exact carries out as-built measurements, geometric control measuring, mass calculations and delivery of final documentation to the relevant authorities.